I am swooning over these beautiful images of our recent design from a ballerina -princess inspired baby shower from Jana Williams Photography. Our SYED design team in collaboration with the Details Details team had fun with all the little details from this amazing event. Take a look at the custom tutu inspired linen and chair backs we created! Oversized floral umbrellas with tutu skirting lined down the two long tables, along with smaller florals in small golden containers. 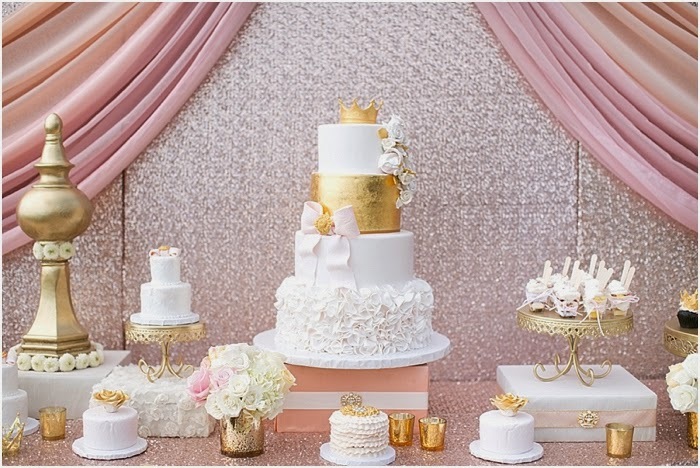 Our sparkling crown backdrop created an amazing backdrop for all the wonderful desserts! Real Inspiration: Radiant Orchid as the Star attraction.